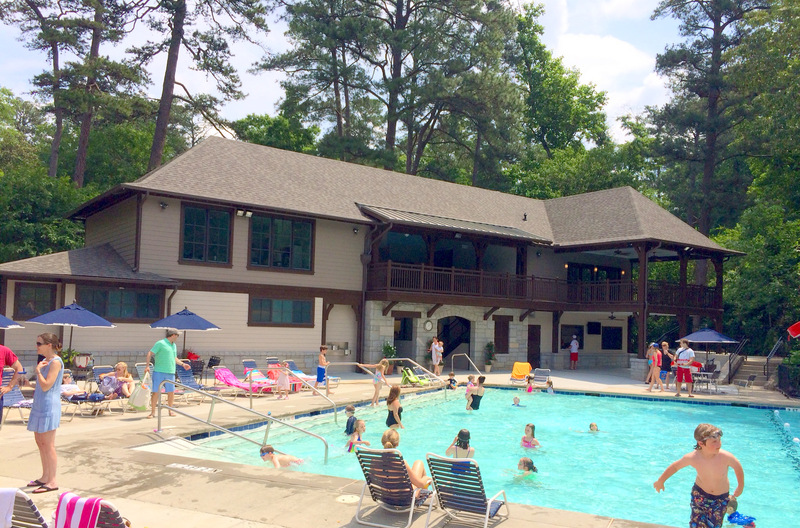 The new foundation’s initial project was to expand the deck space of the Garden Hills Pool. Large metal arbors were raised over the new deck area to create a natural canopy for shade and aesthetic enhancement of the pool. The project also included an upgrade to the chain link fencing around the front and east side of the facility. New soil and contour were added to the playfield immediately to the east of the Garden Hills Pool to promote better drainage and facilitate growth of the turf. A sprinkler system was added and professional turf management services were engaged to provide a playing field appropriate for youth soccer, lacrosse and other playfield activities. A granite Garden Hills monument and sign board were purchased and installed in front of the Garden Hills Pool to promote neighborhood communications and awareness of community events. The new facility was constructed in the winter of 2013 and was donated to the City of Atlanta in May 2014. Click here to see time lapse video of the construction. The four-way stop at the intersection of Rumson, Bolling and Brentwood was replaced with a granite roundabout designed by landscape architect John Howard. The roundabout includes a water fountain, seasonal landscaping, and a series of sculptures known as “The Playground” (originally sculpted by Martin Dawe for a memorial in Arlington Cemetery in Sandy Springs). The statues were donated in memory of Jim & Nancy Floyd’s son, Christopher. Jim was one of the original Board members of the Garden Hills Neighborhood Foundation. Landscaping and construction of the roundabout were donated by Garden Hills residents Jef Euart of HGA & Associates, and Patrick Davey of Davey Construction. Garden Hills Neighborhood Foundation, Inc.